How lovely! I also have impatiens in my little house in Portugal, they need a lot of water, so my friend waters them for me while I am gone. 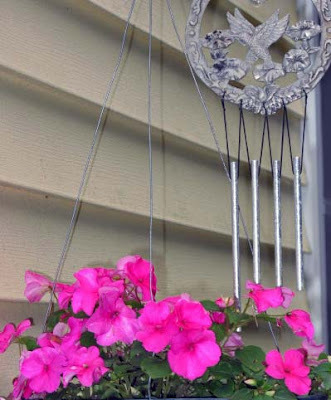 What a nice welcome for anyone entering your house, that hanging basket of impatiens!